UIDAI CEO Ajay Bhushan Pandey says the unique identity project has unequivocally proven itself on the ground and is being strengthened. If he’s under pressure, Ajay Bhushan Pandey, chief executive officer of the Unique Identification Authority of India, doesn’t show any of it seated inside his spacious office in central Delhi. After all, it’s been a tough few weeks for the UIDAI, which runs the Aadhaar programme. As the Narendra Modi government pushes to introduce the 12-digit identification number for more schemes, the UIDAI has found itself in the eye of many a storm. For one, the government’s recent move to make Aadhaar mandatory for filing income-tax returns has been challenged at the Supreme Court. At the same time, questions have frequently been raised over the efficacy and security of the platform, which is now the custodian of the biometric data of over 1.13 billion Indians. However, Pandey, who attended the Indian Institute of Technology, Kanpur, before entering the Indian civil service, mounts a staunch defence of the system in the face of growing criticism. He insists that Aadhaar has unequivocally proven itself on the ground, even as the UIDAI works to bolster the platform’s security, clearing out existing kinks. Nonetheless, leaks keep springing up in the Aadhaar ecosystem. On Saturday, activists unearthed that the Aadhaar-linked identity data of over a million pensioners in Jharkhand was available online. The Aadhaar-linked identity details of pensioners in Kerala, too, are available on the internet, though it is illegal to display such data. Although the UIDAI had earlier declined to reveal exactly how well its platform is working, Pandey said the success rate for fingerprint-based Aadhaar authentication is between 90% and 98%, depending on the scheme where it’s implemented. “What we have seen is that with any service delivery agency, particularly the state governments, during the initial few months, they have certain teething problems and there the success rate is lower,” explained Pandey, who also holds a PhD in computer science from the University of Minnesota. 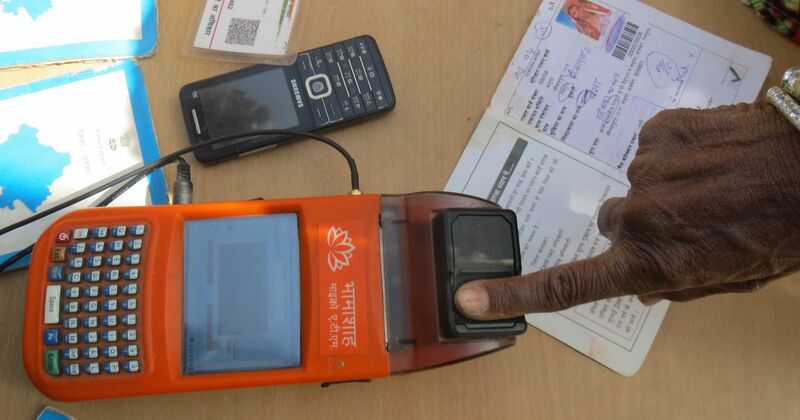 “But what we’ve seen is that once it stabilises, the success rate of fingerprint authentication in many state government programmes is between 90% and 95%.” Pandey said this was the usual success rate of up to three fingerprint authentication attempts at any given time. Often, the problem with state government programmes involves the incorrect seeding (that is, the introduction of new data into an existing database) of the Aadhaar numbers, the use of incorrect Aadhaar numbers, or simply the lack of preparedness by the government agency. But when it’s done right, Pandey said, the performance is much better. At scale, even a 95% success rate isn’t enough when millions depend on Aadhaar to access government benefits. For instance, the failure of Rajasthan’s Aadhaar-based public distribution system last year left many of the state’s poorest unable to get their rations. It was a problem that even Pandey acknowledged last summer. 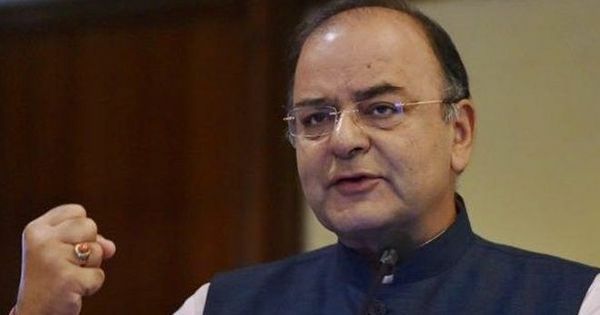 But the Aadhaar Act, the programme’s overarching legislation passed last year, mandates that any individual must be “offered alternate and viable means of identification for delivery of the subsidy, benefit or service” in the absence of an Aadhaar number. So, if fingerprints fail, other options exist, including iris authentication, mobile one-time passwords, and even manual overrides. To many on the outside, the UIDAI and Aadhaar can seem like a black box. The success of its authentication aside, there are other concerns. How securely is the biometric and identity data of over a billion individuals stored? What’s the possibility of leaks when other agencies interact with this data? And what happens if, and when, there is a breach in the system? The UIDAI is working to further secure its system, and keep a closer eye on the 368 agencies that provide Aadhaar authentication services. These include Authentication User Agencies, which are banks and telecom companies that use Aadhaar authentication to verify the identity of their customers. There are also Authentication Service Agencies, which transmit authentication requests for one or more Authentication User Agencies, effectively acting like intermediaries. “We will have a list of empanelled security auditors, and they will audit the various agencies with whom we are interacting. And based on their reports, we will come to know who is doing what,” Pandey explained. The UIDAI is also working to bring out a set of new authentication devices later this year, which will provide an additional layer of security to the Aadhaar platform. “Today, it (biometric data) gets encrypted by the authentication user agency, [that is,] the person who is collecting the biometric (information). He has to encrypt it as per the contract,” Pandey said. The new system will mean the data is encrypted at the source itself, that is as soon as an individual interacts with the device, cutting down the possibility of it being illegally stored, Pandey said. This scrutiny and effort are not without reason. In February, the UIDAI reportedly halted all Aadhaar-related transactions with three Authentication User Agencies – Axis Bank, Suvidhaa Infoserve, and eMudhra – over fears of misuse of data and filed a police complaint. The UIDAI subsequently clarified that there had been no breach or any financial loss due to the attempts to misuse the system. But since these policies are not publicly available (it is only disclosed on a need-to-know basis), it can be difficult for observers to properly understand how secure the UIDAI’s ecosystem is, and what protocols are followed by other agencies who deal with the authority’s data. The recent violations in Jharkhand, where the Aadhaar-linked data of over a million pensioners was posted online, is a test case. So, too, is the availability of similar data in Kerala’s Sevana Pension scheme, which Quartz was able to access. Will the UIDAI take the concerned state government authorities to task, or let them off with a warning? However, the law – in this case, the Aadhaar Act – has a curious clause. “No court shall take cognisance of any offence punishable under this Act, save on a complaint made by the Authority or any officer or person authorised by it,” section 47(1) of the Aadhaar Act states. This means the onus is entirely on the UIDAI to go after any entity in case of any Aadhaar-related offences. So far, it’s easy to give the UIDAI the benefit of the doubt, in that it has gone after every major offender. But what’s to say that once Aadhaar becomes even more pervasive, the UIDAI will have the resolve to go after the truly big fish? After all, some of India’s largest corporate entities are already using the platform. Alongside, UIDAI will have to keep winning in the endless cat-and-mouse security game, always trying to stay a step ahead of those looking to break into an ever expanding platform. And its core function of authentication will have to take on even more requests and deliver reliable results. It’s a burden that Pandey understands.